This is the (Good) Life! So the house is finished and the vegetables are growing. Surely time now then to simply lay back in warm summer sunshine and enjoy the good life! Little did he know that this fool has a hammock! 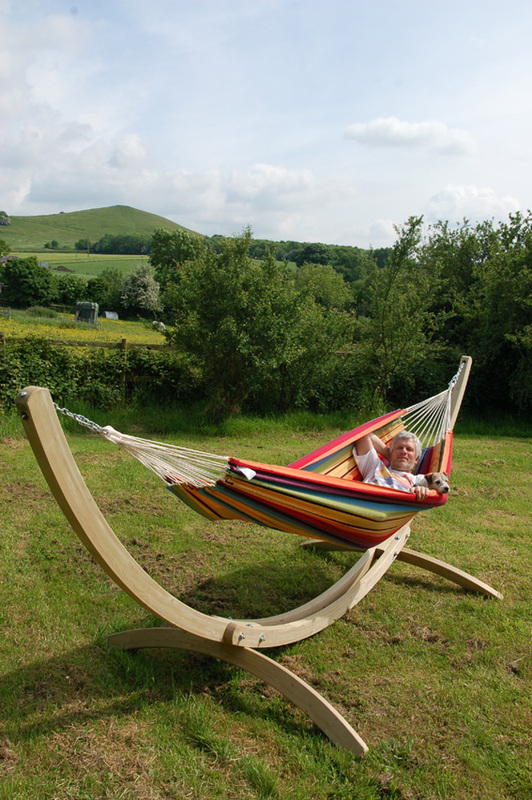 This entry was posted in Good Life and tagged eco makeover, hammock, Paul Rainger, Perelman, Smallholding, The Good Life, The Secret Acre, veg growing by paulrainger. Bookmark the permalink.